May 18, 2016 -- Hamilton, Ontario -- FCA Canada has entered into an exclusive strategic agreement with Certified Collision Care to develop, launch and manage the company’s Mopar Certified Collision Repair Facility program. 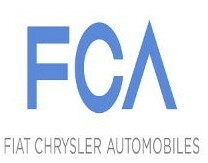 FCA Canada owns the Chrysler, Dodge, Jeep, Ram, and Fiat brands. According to an official statement, FCA Canada will be an integral strategic partner leveraging the joint-effort collision repair facility certification services, infrastructure, and turnkey program offered by Certified Collision Care. "Our commitment to our car buyers starts when they purchase their vehicle from FCA Canada, and this includes ensuring they have a Certified Collision Repair Facility to repair their vehicle should they ever need one," said Mopar Service & Parts Marketing Manager for FCA Canada, John Eason. All Certified Collision Care facilities will automatically be recognized by FCA Canada as Mopar Certified Collision Repair Facilities on June 1, 2016, and will receive special FCA Certified signage as part of the integrated Certified Collision Care program. "We are proud to partner with FCA Canada to add the Mopar Certified Collision Repair Facility Program and FCA Canada recognition to our certified shop's credentials. The national network we are developing helps to fulfill their commitment to their vehicle buyers," said Leanne Jefferies, VP of Canadian Operations for Certified Collision Care.